Discussion in 'Vape Reviews' started by sourcemore, Apr 17, 2019 at 5:24 AM. 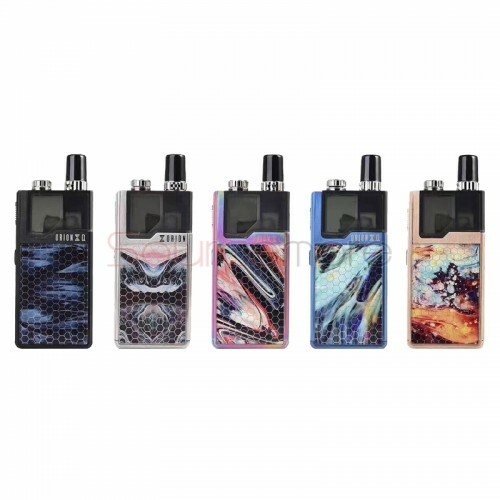 Orion Q Pod Kit by Lost Vape has added five new colors, Black Ocean, SS Fantasy, Rainbow, Blue Aurora, Gold Dazzling, which gives you more choices. It features a proprietary chipset with 40W max output, 950mAh internal battery. With the single firing button, it brings a simple vaping experience. It also comes with multi-colored LED battery life indicator for checking the battery status easily. It comes with 2ml e-juice capacity and easy top filling design. Multiple protections are applied to guarantee safety and stability. Available 10 colors.